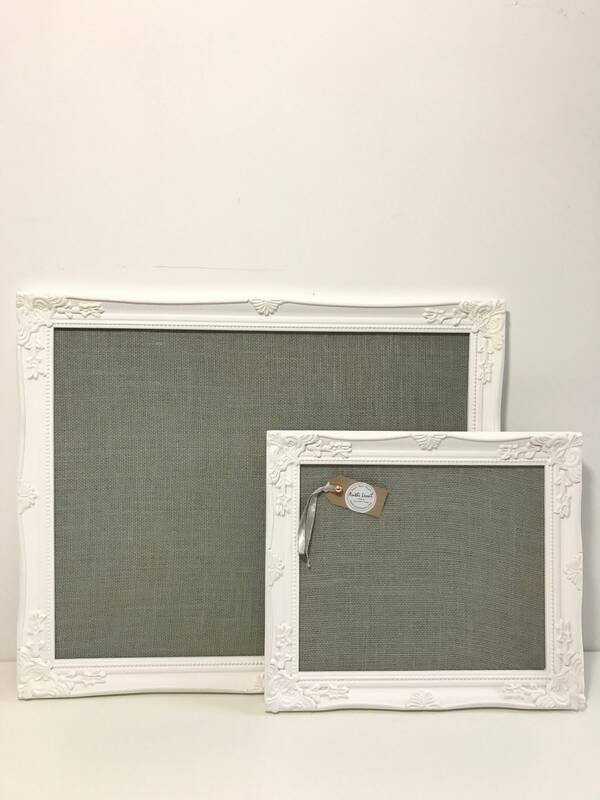 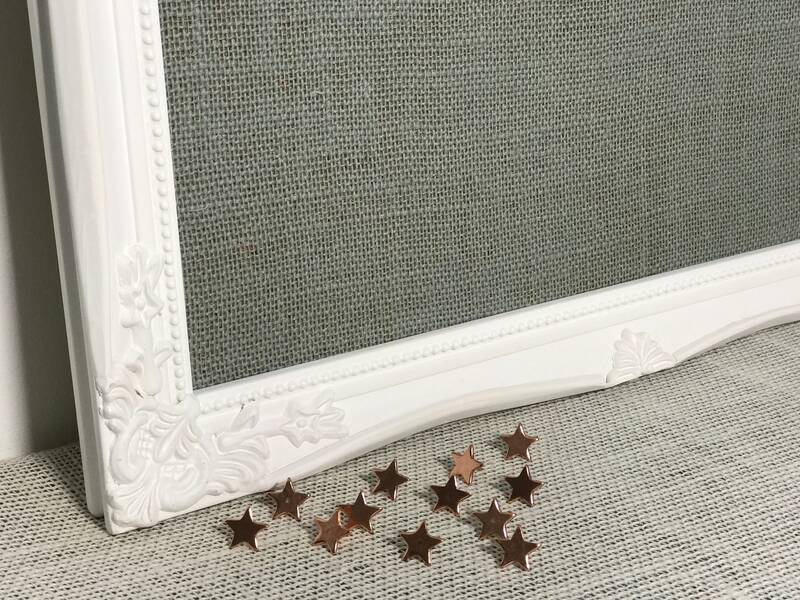 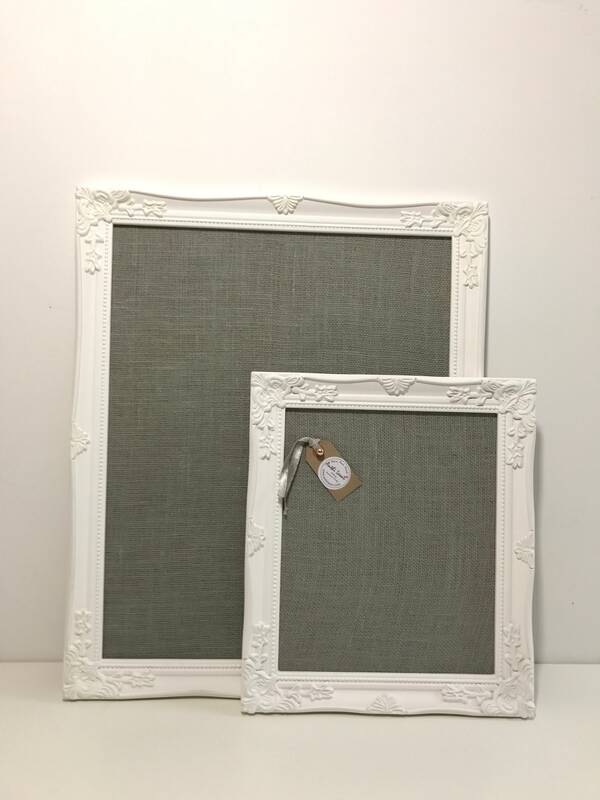 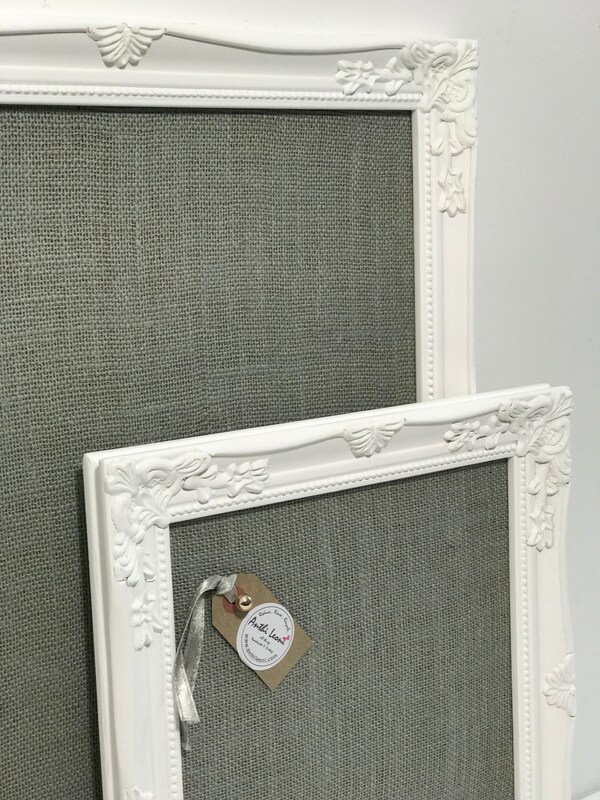 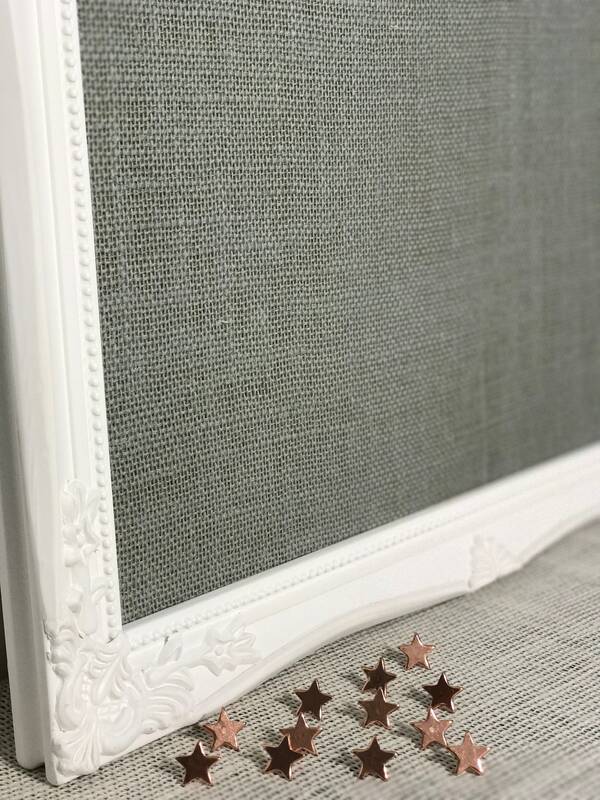 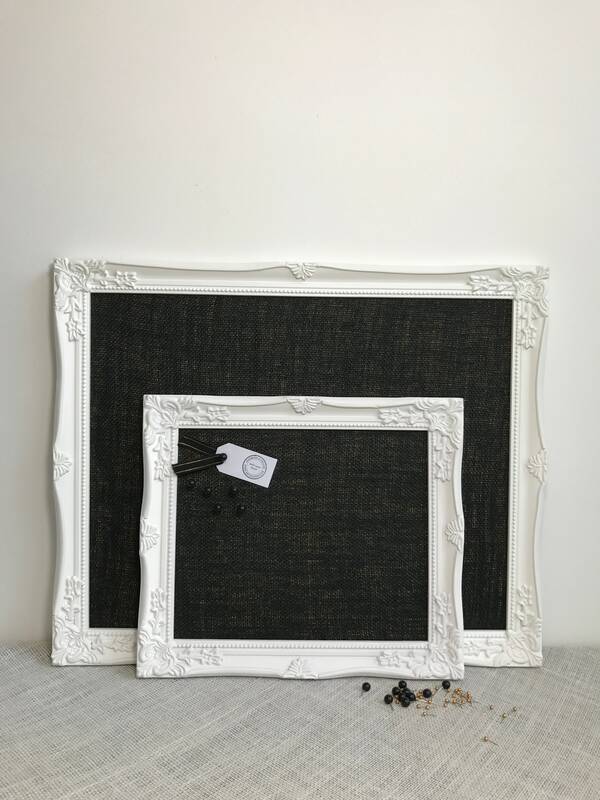 WHITE Ornate Framed BURLAP / HESSIAN Fabric Pin Board - Made To Order - Choose Your Fabric Colour! 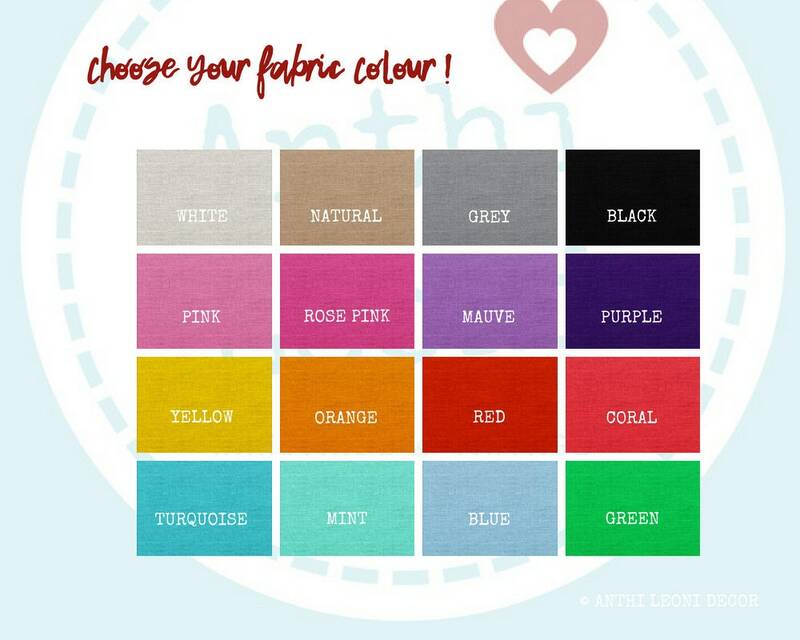 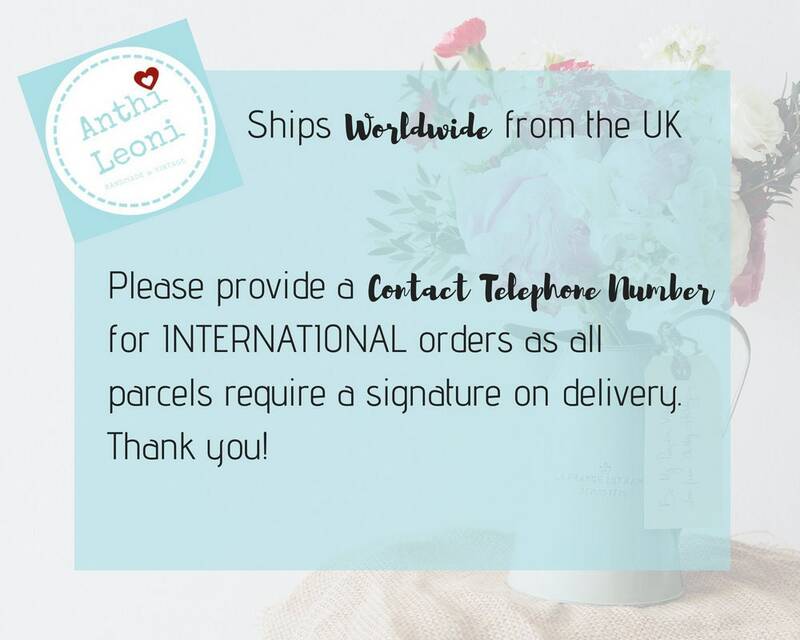 Customise this product by choosing from 16 fabric colour options. 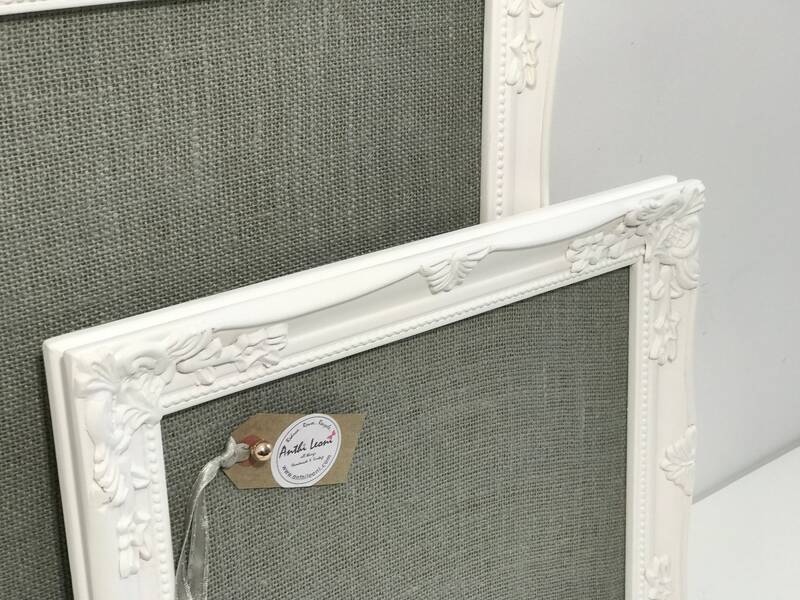 Match your interior design theme or just find your favourite colour of the moment!